Gene Okerlund, the most recognizable interviewer in sports-entertainment history, has passed away at age 76. “Mean Gene,” as he was named by fellow Minnesotan, Jesse “The Body” Ventura , first came to prominence as an interviewer in the American Wrestling Association. As the respected and reliable man behind the microphone in WWE, Okerlund branched out from interviewing and provided ringside commentary and hosted several shows, including All-American Wrestling, Tuesday Night Titans, Wrestling Challenge and Prime Time Wrestling. Announcing wasn’t all that Okerlund could do with a microphone, as he performed the National Anthem at the first WrestleMania in 1985. Later that year, Okerlund would sing “Tutti Frutti” on WWE’s The Wrestling Album. In 1993, Okerlund joined WCW where he continued to interview many of the legends he had worked with in the AWA and WWE, as well as WCW stalwarts like Sting, Diamond Dallas Page, Goldberg and others. 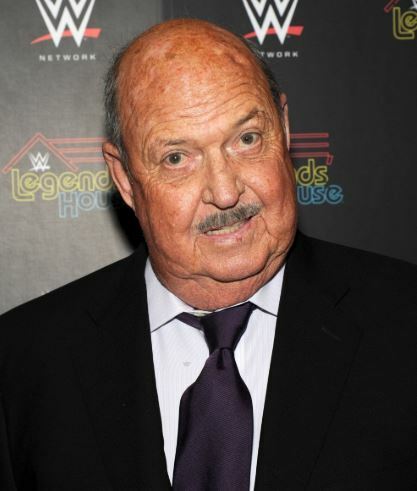 Okerlund returned to WWE in 2001 to call the Gimmick Battle Royal at WrestleMania 17 along with Bobby “The Brain” Heenan and continued to appear on WWE television programming, including as a cast member on WWE Network’s Legends’ House.